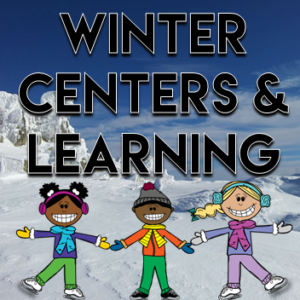 The holidays flew by and we are on to Winter Learning. There are so many fun things I like to do in my classroom. 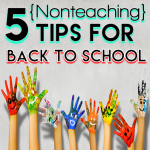 Today I wanted to share just a few learning opportunists that are fun and engaging for young learners. The top left center is called Do You Want To Build A Snowman. 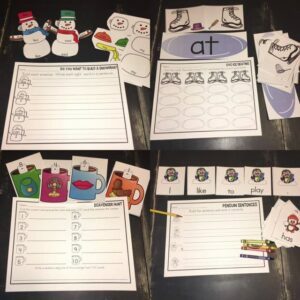 The teacher will cut out the different snowman pieces and students will build them based on the sight words on each piece. Then, students will write a sentence using that sight word. The top right center focuses on word families / cvc words. Students will match the ice skates to the correct pond. Then students will write the word in the correct column on the recording sheet. The bottom left center is a Scavenger Hunt. Staple or tape these pictures around the room where they are visible but student have to search for them. Students will write the correct cvc word on their recording sheet based on the picture in the mug. This center has always been a favorite of my students. The bottom right center sentence building. Students sort the cards based on the pictures. Then, after they correctly build each simple sentence, they write them. In this game students will begin at START. They will pick a card. 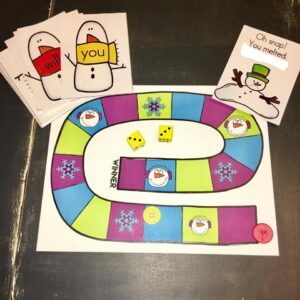 If they can read the sight word correctly, they can roll one die and move their marker that many spaces. If they pick a card that has a melted snowman, they lose a turn. First to the finish line wins. The top left center focuses on part part whole. 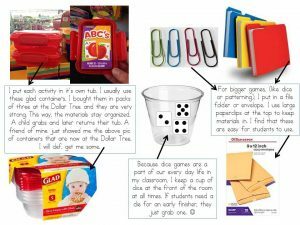 Give students counters. Cotton balls would be fun! Have them pick a card and count how many snowballs are in the mittens. They will write this sum on the recording sheet. Then, using the counters, decided one way to make that number and fill it in on the recording sheet. The top right center is measuring. 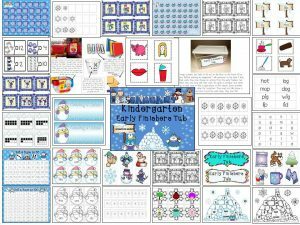 Students will take the strip of snowflakes and measure how tall each snowflake is and then write it on the recording sheet. The bottom left center offers various dice games. 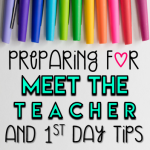 You can give students individual recording sheets or you can laminate one sheet and have students use them over and over with a dry erase marker. Students will roll two dice, add them together and fill in the recording sheet of your choosing. I also have them color the number that “won” or made it to the top first. The bottom right center can be done two different ways. 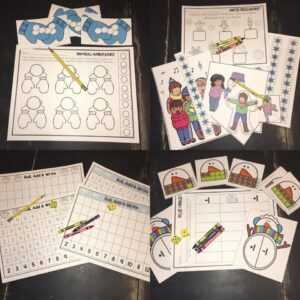 Students will chose a card and count the dots on the ten frame and fill in that number in the center column of the recording sheet. Then, students can either A. Fill in both the plus one and minus one columns or B. Have students spin the spinner and only fill in one additional column. Play dough centers are always fun! 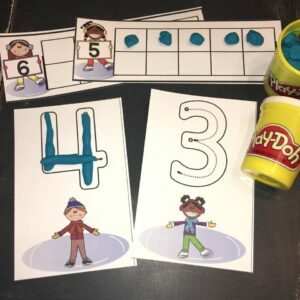 Students will work on building numbers to ten and filling in ten frames to ten, all with play dough. 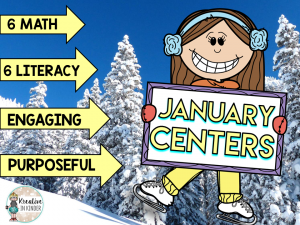 You can find all of these math and literacy centers here. Poetry is so purposeful. 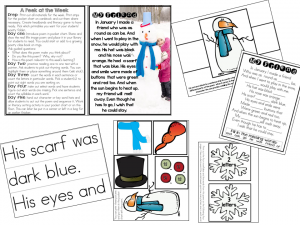 There are so many academic focuses to be found when using poetry during whole group time or centers. 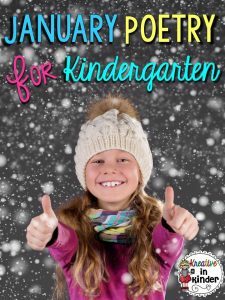 I created a January Poetry Unit. All of the poems are original and fun. For each poem, there will be pocket chart strips, retelling pieces, poem for a poetry folder, character hats (if applicable) and some sort of academic activity. This poem's activity focuses on sorting words from the poem based on the number of letters in the word. Early finisher tubs are my favorite creation. I was tired of kids getting in trouble because they were trying to silently read while others finished up. I found this to not be engaging and some students began to dislike reading because of it. 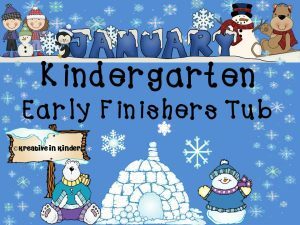 Early finisher tubs are thematic and are differentiated each month. 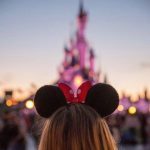 For January, there is a winter theme. 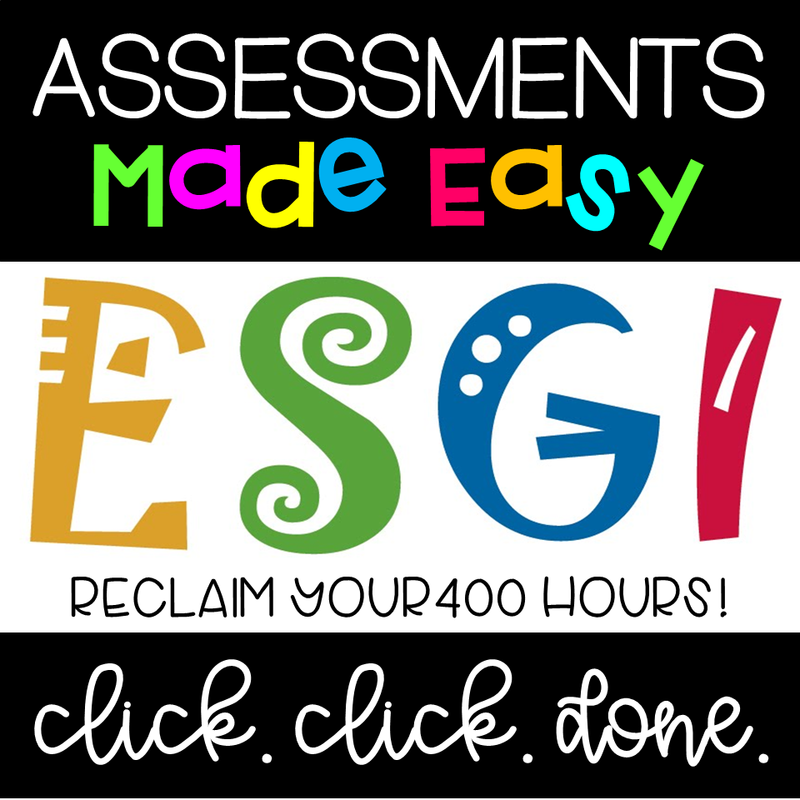 If you want to read more about how these work in my classroom, click here. Something else we love during the winter is Penguin Day. You can read more about that by clicking here. 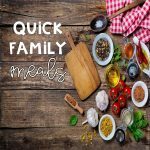 All of these winter activities can be found here. Happy teaching and stay warm! « When The Answer Is NO.